Many library databases will provide a complete citation for a source. You should always check these automatically generated citations against citation style guides to make sure they are correct and up-to-date. If a database does not provide a citation for you, the tools linked below will help you create a citation for your source. Choose your citation style and source type on the left side of the page. Click "create citations" then follow the prompts for selecting citation style and source type. Citing government information can be tricky! Use the resources below to learn how, and you can always Ask a Librarian for help. This webpage from IU Bloomington will help you get started building your citation. 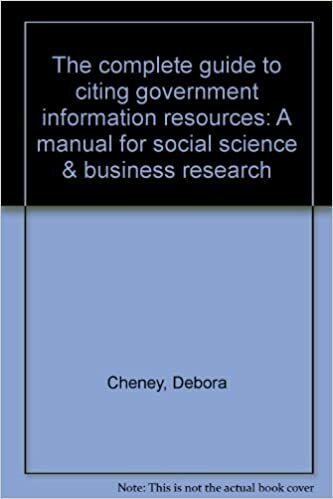 This guide from UC Davis has more resources on how to cite government information. Citation managers are a great way to organize your sources for different assignments. They can save article citations and abstracts and can sometimes pull information straight from a database at the click of a button! Auburn University Libraries support three citation managers: Zotero, Mendeley, and Endnote. Each citation manager has its strengths and weaknesses, so check out the guides below to learn more about each and decide which one is right for your research! The primary reason for citing information sources is to acknowledge and credit the work of others. If you consult books, other print resources, or electronic resources (e.g., web pages, journal articles retrieved from library databases, etc. ), you should cite these sources in your bibliography or works cited page. Auburn University takes plagiarism and academic honesty very seriously. If you are found plagiarizing you could fail your class, and there may be additional consequences at the University level. This resource from the Provost provides examples of violations, possible sanctions, student's rights, and ways to avoid academic dishonesty. This guide from Accredited Schools Online provides tips to help students and instructors avoid issues with plagiarism. The Purdue Online Writing Lab (OWL) is a very helpful resource for citing almost every source type. They have created a citation style guide for the three main citation styles: APA, MLA, and Chicago. Purdue OWL is seen as the definitive resource for learning APA and MLA style. Their style guide walks students through how to create APA citations for most source types. Purdue OWL is seen as the definitive resource for learning APA and MLA style. Their style guide walks students through how to create MLA citations for most source types. This style guide walks students through how to create Chicago citations for most source types. It utilizes the 17th edition of the Chicago Manual of Style. Research and Documentation Online provides guidelines for citing both print and electronic sources in MLA, APA, Chicago, and CSE (formerly called CBE) styles. Select "Documenting Sources" from the online menu in each subject area. The following style manuals are located at the RBD Help Desk (RBD Library, 2nd floor) or in the general collection. Below are manuals for the three most common citation styles: APA, MLA, and Chicago. This is an online resource. The Manual begins with an overview of the steps in the research and writing process, including formulating questions, reading critically, building arguments, and revising drafts. Part II provides an overview of citation practices with detailed information on the two main scholarly citation styles (notes-bibliography and author-date), an array of source types with contemporary examples, and detailed guidance on citing online resources. The final section treats all matters of editorial style, with advice on punctuation, capitalization, spelling, abbreviations, table formatting, and the use of quotations. 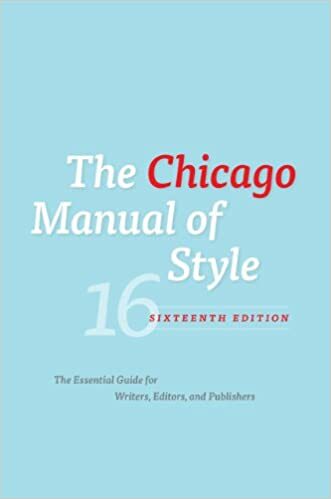 Style and citation recommendations have been revised throughout to reflect the sixteenth edition of The Chicago Manual of Style. This is an electronic resource. Learning how to read a citation can help you understand how to create your own citations! Watch the video below to learn how to read a citation for an entire book, a chapter or essay from a book, and a journal article. If you're still unsure of how to avoid plagiarism, uphold the academic honesty code, or cite sources responsibly, please don't hesitate to contact us! Call, chat, text, e-mail, or visit your librarian at the 2nd floor Help Desk in RBD Library. The consultants at the Miller Writing Center can help you with any stage of the writing process, including citing sources and incorporating research into your paper.